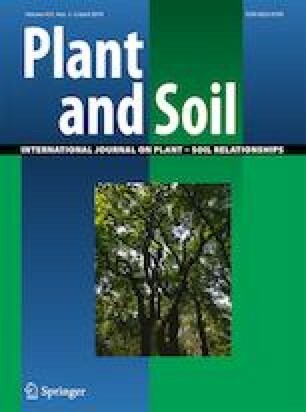 Global warming is predicted to alter the timing and magnitude of biogeochemical nitrogen cycling in paddy soils. However, little is known about its effect on active nitrifying populations. Here we investigated the responses of nitrification activity and active nitrifiers to elevated temperature in an acidic paddy soil. 13CO2-DNA-stable isotope probing (SIP), qPCR and high-throughput sequencing were used to determine active nitrifying phylotypes as well as difference in their abundance and community composition incubated at field temperature (15 °C) and elevated temperature (20 °C). Urea application led to significant production of nitrate and growth of ammonia-oxidizing bacteria (AOB) at both temperatures. Nitrification activity at elevated temperature was 148.3% and 18.5% higher than that of low temperature at day 28 and 56, respectively, accompanied by an increase in the extent of 13C-label incorporation by AOB. 13CO2-based SIP experiment indicated that both AOB and ammonia-oxidizing archaea (AOA) were involved in the nitrification activity and the active ammonia oxidizers changed from AOA to AOB with elevated temperature. Significant variation of AOA communities was observed under different temperatures. Dominant 13C-labeled nitrite-oxidizing bacteria (NOB) shifted from Nitrospira moscoviensis to Nitrospira japonica with higher temperature. Our findings emphasized that elevated temperature had pronounced effects on autotrophic nitrification which was mediated by altering relative abundance of active AOB and AOA, as well as the community composition of AOA and NOB. AOB were more adaptable than AOA with increasing abundance but no alteration of composition at elevated temperature. Qian Zhang and Yong Li contributed equally to this work. The online version of this article ( https://doi.org/10.1007/s11104-019-04052-7) contains supplementary material, which is available to authorized users. This research was financially supported by the National Natural Science Foundation of China (41721001 and 41671249).